One in a series of changes implemented by the FHA in recent times is the new standards required for FHA loans regarding FICO score requirements and down payments. A 580 FICO score will now be the minimum borrower requirement. April 30, 2017 - A few years back, The FHA published "The Facts on FHA" on The HUDdle, an official blog of the Department of Housing and Urban Development. The Facts On FHA post details a list of actions FHA and HUD have taken since 2009, "to eliminate unnecessary credit risk and assure strong premium revenue flows than any Administration in FHA history" according to acting Federal Housing Administration Commissioner and Assistant Secretary for Housing, Carol Galante. One in a series of changes implemented by the FHA in recent times is the new standards required for FHA loans regarding FICO score requirements and down payments. According to Galante, "New borrowers will now be required to have a minimum FICO score of 580 to qualify for FHA's 3.5% down payment program. New borrowers with less than a 580 FICO score will be required to put down at least 10%. This allows the FHA to better balance its risk and continue to provide access for those borrowers who have historically performed well." Borrowers with credit scores at or near 580 may find it challenging to get a home loan in spite of the fact that technically, they do meet the FHA 580-or-higher FICO requirement. Why? Many participating FHA lenders require a FICO score of at least 620 in order to qualify for an FHA home loan. Just because the FHA minimum is 580 does not mean a particular bank is willing to issue credit to those with that score--the FHA loan program is a voluntary one, lenders are not required to participate, and the FHA cannot force the bank to lower its FICO requirements. 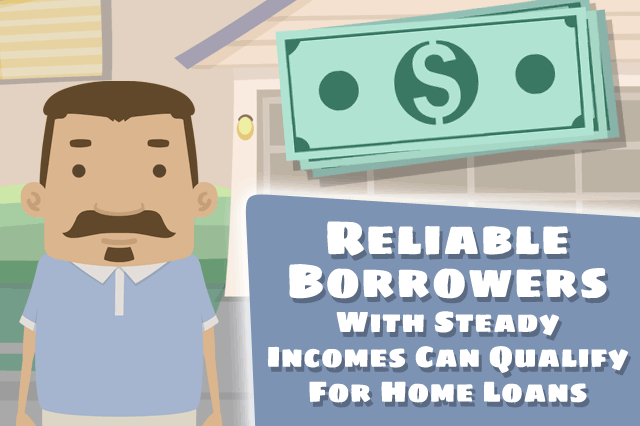 What can a potential FHA borrower do if his or her FICO credit score isn't at or above 620? The first thing borrowers in this situation should consider doing is calling the FHA for assistance at 1-800 CALL FHA. Borrowers can ask an FHA representative for a referral to an FHA-approved housing counselor who can help borrowers learn how to raise their credit score and make themselves a better credit risk in the eyes of a participating FHA lender. Credit counseling and housing counseling can truly help borrowers with credit issues take the right steps towards becoming home owners. An FHA-approved housing counselor can suggest the right actions to take, but it's very important to remember that it takes time to raise credit scores and follow the advice of your housing counselor. Borrowers look for a record of at least one year of reliable payments and your credit scores need time to rise and correct if necessary. The time invested in fixing your credit score-with the help of an FHA approved housing counselor-is a serious investment in your future as a home owner. Learn more by calling the FHA at 1-800 CALL FHA.